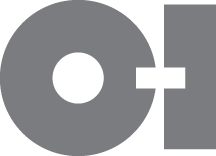 PERRYSBURG, Ohio (Oct. 1, 2015) - Owens-Illinois, Inc. (NYSE: OI) has scheduled its third quarter 2015 conference call and webcast for Wednesday, Oct. 28, 2015, at 8 a.m. EST. The company's news release for the third quarter 2015 earnings will be issued after the market closes on Tuesday, Oct. 27. A review of third quarter sales, segment operating profit and earnings per share, including comparisons to prior year, will also be posted on the O-I website, www.o-i.com/investors, when the earnings news release is issued. The webcast will be archived at http://www.o-i.com/investors/ until October 2016. To participate in the event via conference call, dial 1-888-733-1701 (U.S. and Canada) or 706-634-4943 (International) by 7:50 a.m. EST, on Oct. 28. Ask for the O-I conference call.